Thank you for joining us again for part two of the interview with the founder of Tree Naturals, Latresha Sayles. We posed a few hair-important questions, and below are her responses. Tell us your hair story - Why did you decide to go natural? 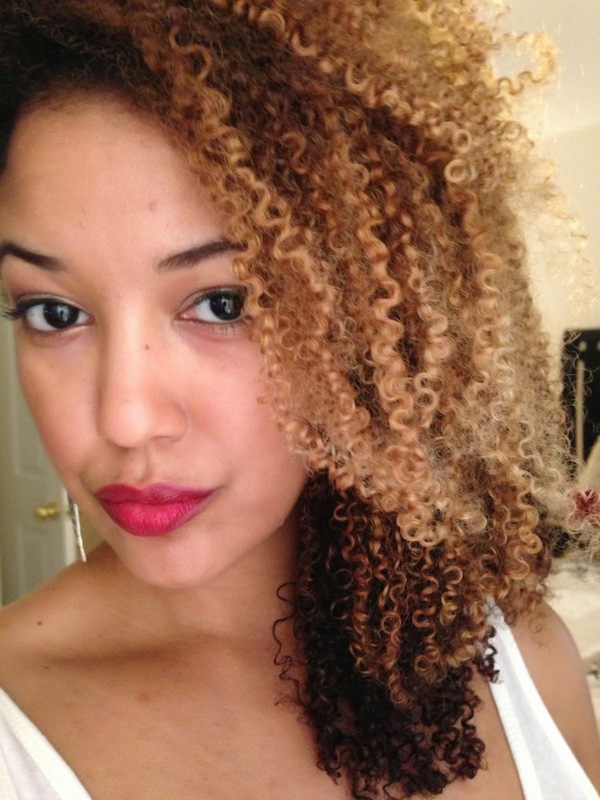 I stumbled upon my natural hair journey. I was ready for something new plus my schedule was very busy and I was tired of going to the salon all the time and waiting for hours. Plus, I just wanted to sleep without “sleeping cute.”J I remember at my last visit I told my stylist to just cut it all off and I’d figure it out. She said, “So you’re going natural?” My response was “What’s that?” Lol, I haven’t looked back since! Today, four years later my hair is almost waist length and extremely healthy! 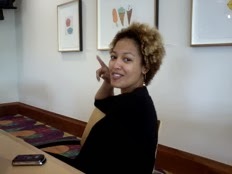 I did the big chop in July 2009. I felt extremely lost and all alone. No one in my circle looked like me and I didn’t see naturals out and about like I do now. I didn’t have anyone to have “curl talk” with and I quickly realized that I needed someone, because I was uneducated on how to care for my hair in its natural state. I was given my first perm around age 5 or 6 and relaxed hair was all I knew. My hair was beginning to get extremely dry and break off! Someone mentioned there was a huge natural hair community on YouTube and I found so much love and support there. Did you receive push back from others (work, family, friends) for going natural? Not really, but I could tell my Grandmother and Pop Pop didn’t understand it. My Pop Pop swore I was wearing a wig! I did get the stares from folks at work. Overall I received mostly very positive feedback, but we all have to go through that learning phase, and it’s so funny to me now because the same folks who made me feel uncomfortable are asking me for advice! What was/is the greatest benefit for you from going natural? I was able to discover so much about myself. I love that I’m able to switch up my look whenever I want! If I want straight hair, curly hair, wavy hair, whatever it is I can do it. I’m a lot stronger than I give myself credit for and I’m a lot more confident as well. Rocking a huge fro’ gets you a lot of attention and is definitely a conversation starter. However, more importantly because I was struggling with my own natural hair, I was able to tap into a hidden gift I had to create the Tree Naturals product line that helps other naturals on a daily basis; I think that’s the greatest benefit of all. In your opinion, is natural hair a trend? What is the future of natural hair? Absolutely not! Natural hair is not a fad or a trend, it’s a lifestyle and like it or not world WE naturals are here to stay! Never let anyone tell you it’s “just hair” because it’s so much more than that. We have consistently fought for acceptance and our hair is a part of that. When I think of the future of natural hair all I see are FRO’s!! What message can we send to our girls about embracing their natural beauty? Whether I’m at an event or just talking to our little ones, I always try to show them that they should be very proud of who they are. They are beautiful, just the way they are. Children are like little sponges and they soak up what we do; if they see we love ourselves and we are proud of how we are naturally, that helps them to love themselves just as they are. This is especially important for our little girls, because it all starts with them. I remember I was in the grocery store and there was a little natural girl there just staring at me so I waved “hi” at her and kept on walking, but I heard her tell her Mother, “Mom, look! She looks just like me! !” My heart was filled with joy! 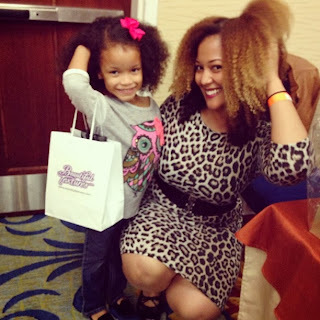 Here’s a picture of a little natural princess I met at a recent event. I styled her hair and she was so happy and full of life and personality. I could tell that she was so proud of her new hairstyle and to see the look of confidence on her face was overwhelming! 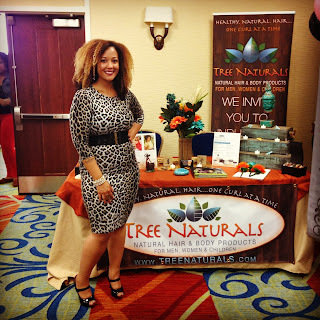 How did Tree Naturals come to be? 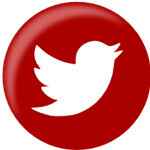 What is your goal as a company, what can we expect in the future? 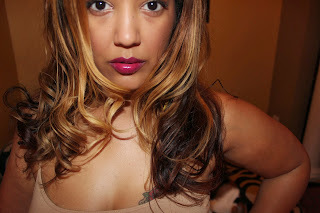 Tree Naturals was born in 2011 out of frustration with my own hair and the need for quality products that would perform as promised and although I loved being a product junky, it did not hide the fact that my hair was looking a hot mess, which made me feel unattractive and it was affecting my self-esteem. I began recording video tutorials on YouTube and my very first product I made was a whipped hair & body butter that I kept in a Tupperware container. My subscribers began noticing how my hair was getting healthier and they demanded to know my secrets…and what was in the container! After that I began manufacturing Tree Naturals products to share with the world. Our goal is to provide the best all-natural products for our customers that feed and nourish their curls while helping them to grow the big hair they want! We also enjoy educating our curlies through our YouTube channel and at our events. Some of our goals as a company for 2014 are to travel to more cities and attend the World Natural Hair Show! 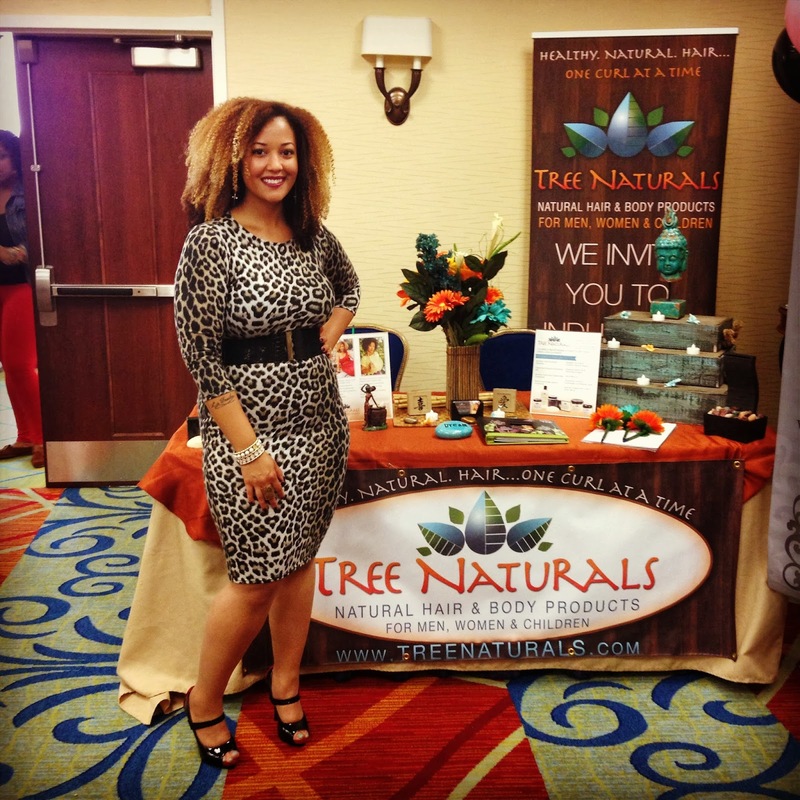 We want Tree Naturals to be a house hold name! Upcoming events, how to order, etc? We participated in about 15 events for 2013; one of them being our very 1st Pop Up Shop, so as the year closes out we are working on our 2014 calendar, so stay tuned for updates! At this time you can order online at www.treenaturals.com and be sure to sign up to receive our newsletter to stay informed of all things Tree Naturals! Recently, Tree Naturals became available at Regency Square Mall @the Epic Curls Boutique (Richmond, Virginia). Congrats and thank you, Tree for sharing with us!